Want to know what COLSA undergrads have been up to? At 7:45 on Saturday morning, while most of us were sipping our first mug of coffee, dozens of students from the UNH College of Life Sciences and Agriculture (COLSA) were in the lounge outside the MUB theatres — awake, present and sharply dressed. For months they’d been satisfying their intellectual curiosities — and boosting their intellectual capital — by conducting research. 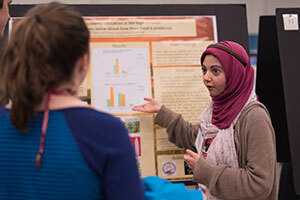 They’d arrived here to present the results of their scholarly investigations to faculty, staff, classmates and parents during the 25th annual COLSA Undergraduate Research Conference on April 23. After continental breakfast, everyone moved into Theatre II to hear seven COLSA seniors deliver oral presentations. Later, 104 students presented their posters in the Granite State Room. Rows and rows of professional-looking posters and the researchers who created them lined the aisles. There was a constant hum of conversation as they described their work. Indeed, many parents posed for photos with their undergrads and roamed the aisles to learn about the research of other students. Jeff Green of Brookfield, Connecticut, came to see his daughter Hannah Green ’17 present her work on the ovary and testes transcriptome of two African songbirds — the cape and lesser masked weaver. Seniors Stephanie Allaire and Fritz Maslan looked for cyanotoxins in one of New England’s most treasured birds — the common loon. The duo worked with biology professor James Haney, whose own research centers on cyanobacteria and biotoxins in lakes. For Maslan, the investigation is personal; he grew up near New Hampshire’s Mascoma Lake, where a cluster of ALS (amyotrophic lateral sclerosis, or Lou Gehrig’s Disease) has been reported. Maslan and Allaire obtained feather samples from licensed loon preservation groups, and their poster described how they broke them down to extract and measure toxins. They were the first researchers to attempt toxin extraction from feathers, and now they’ve set a protocol that will be useful to others. Maslan described their research as “a small piece of the puzzle” of loon health and said they’re hoping to correlate the results with other loon researchers at some point. Allaire worked with Kaleigh Erickson ’16 on another project, one that sought to find out what drives stereotypical behavior in captive cats. The pair hypothesized that such behavior is driven by the size of their enclosures and set out to prove it by observing the animals at two regional zoos, timing and recording their displays of stereotypical behaviors, then running calculations on the data. Erickson had an internship at the Buttonwood Park Zoo in New Bedford, Massachusetts, last summer. She hopes to work as a zookeeper in the future. Subhash Minocha, professor of plant biology and chair of the COLSA URC planning committee, said conducting research during one’s undergraduate years invariably leads to a better understanding of and deeper appreciation for the discipline under investigation. 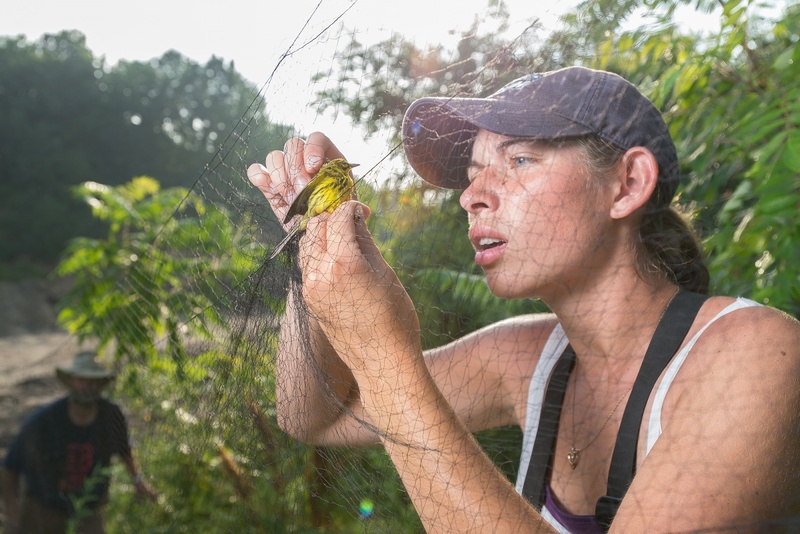 “How do you know you will enjoy being a biologist without getting a chance to do some of the thinking, researching and writing that a biologist does?” Minocha asked. 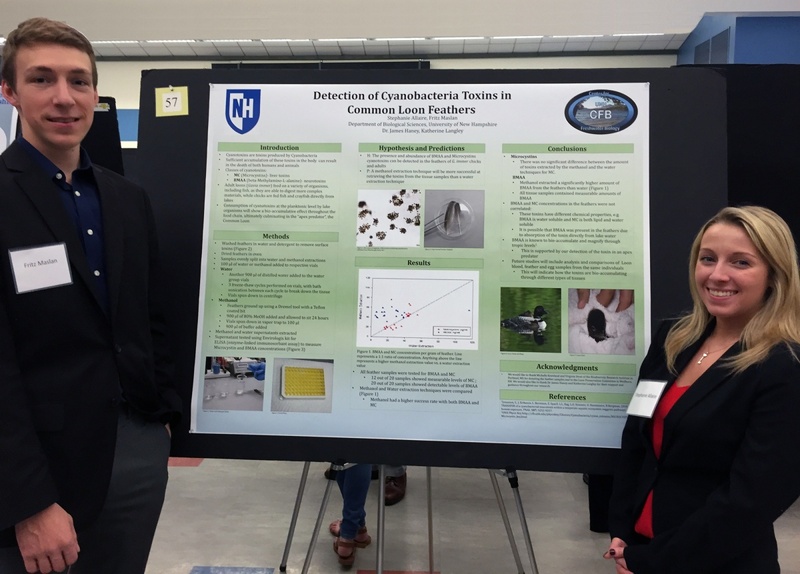 Decades of COLSA students have done it, and COLSA was the first UNH college to sponsor an undergraduate research conference. Stacia Sower, professor of molecular, cellular and biomedical sciences, remembers the first one, back in 1992, when 20 students gathered in Cole Hall. “It was small but exciting,” said Sower, who is director of and faculty member in the UNH Center for Molecular and Comparative Endocrinology. “Many of the presentations reflected more of our college at that time — biological sciences, agriculture and natural resources. As time has gone on, the topics and disciplines have changed to reflect the enormous growth of the biological sciences, particularly in the biochemical, molecular and genetics areas.” Later, she said, the fields of bioinformatics and “omics” arose, and many of today’s presentations reflect these changes. “It has been a terrific venue for students; it’s encouraged them to seek undergraduate research opportunities, which offer them an incredible learning experience,” Sower said. Interested in conducting research as an undergrad at UNH? Take INCO 590: Student Research Experience, the course that introduces you to the work of a researcher and prepares you for your first research experience at UNH. Sower noted the National Science Foundation (NSF) has also helped grow the number of UNH undergraduates conducting research and presenting at the URC by providing faculty investigators with stipends to support undergraduate students. “Through the years, I’ve been able to support more than 200 students conducting undergraduate research via the NSF funds,” Sower said. They’ve gone on to become physicians, professors and scientists. UNH established a center for undergraduate research in 1987 and began offering research grants to students from various academic disciplines, including the liberal arts, that same year. In 1997, the center received seed funding from the U.S. Department of Education to establish the International Research Opportunities Program, the first of its kind in the nation, which still today, through the support of private donors, funds students’ research pursuits at sites throughout the world. In 2004, the center received a $7 million endowment from the Dana Hamel family, which guaranteed undergraduate research grants for future UNH students and enabled the creation of Inquiry, the university’s online journal of undergraduate research. Today, the Hamel Center for Undergraduate Research, funds undergraduate research grants and fellowships entirely through donor gifts. Find out how you can support undergraduate research at UNH. 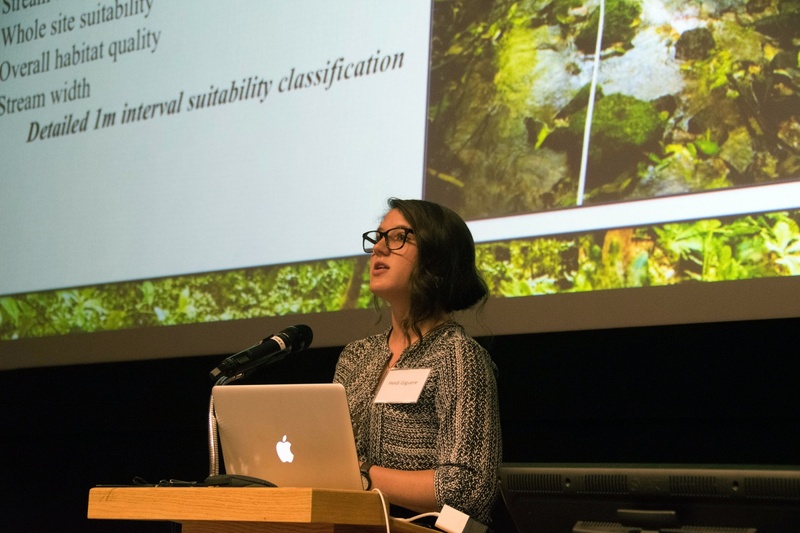 View photos from the 2016 COLSA Undergraduate Research Conference here.